The Manics are due to release a B-side album according to the international news section of the website. 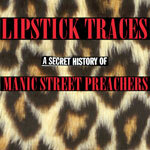 The Album to be entitled 'Lipstick Traces (A Secret History Of The Manic Street Preachers)' will be released on the 14th of July. It is set to be a Double CD containing 20 B-Sides and 14 Cover Songs. Thanks to Gar at Staybeautiful.net for the info.